Welcome to Seattle Chinese Biomedical Association (SCBA), a distinguished nonprofit organization for Chinese scholars, trainees, biopharmaceutical and healthcare professionals in the Pacific Northwest. SCBA was started 25 years ago by a group of adventurous Chinese biomedical researchers out of the University of Washington. The organization has steadily evolved to serve over a thousand members as they establish or transition their careers through academic seminars, annual conferences, social gatherings, and visitor exchanges. Over the years, SCBA has proudly witnessed the rise of its members into world-class professors, entrepreneurs, multinational executives, physicians, and scientists crossing all sectors in life sciences. More so than ever before, SCBA is strategically positioned to promote intellectual exchanges among Chinese life scientists both locally and globally. We pride ourselves on a deep tradition of volunteering and community services. On behalf of the entire board of directors, I invite you all to join the SCBA family for a celebration of 25-years of academic excellence and entrepreneurship. 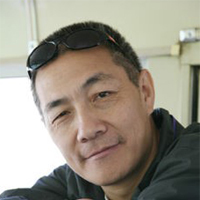 Co-founder of SCBA Dr. Jian Wang: "Our Genomes, Our World." Co-founder of SCBA Dr. Jun Yu: "Peeking into Secrets of the Microbioshpere." 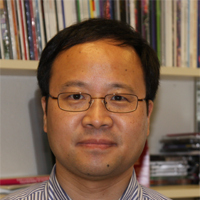 Keynote Speaker Dr. Xiaodong Wang: "Programmed Cell Death in Diseases and Aging." Distinguished Speaker Dr. Wenqing Xu: "Structural and Mechanistic Dissection of the Wnt Signaling Pathway." Distinguished Speaker Dr. Shanlu Liu: "Virus-host interaction: lessons from HIV/AIDS, Ebola and Zika." Distinguished Speaker Dr. Dayong Gao: "Freezing of Living Cells and Organs: A Great Challenge for Global Scientists and Engineers." 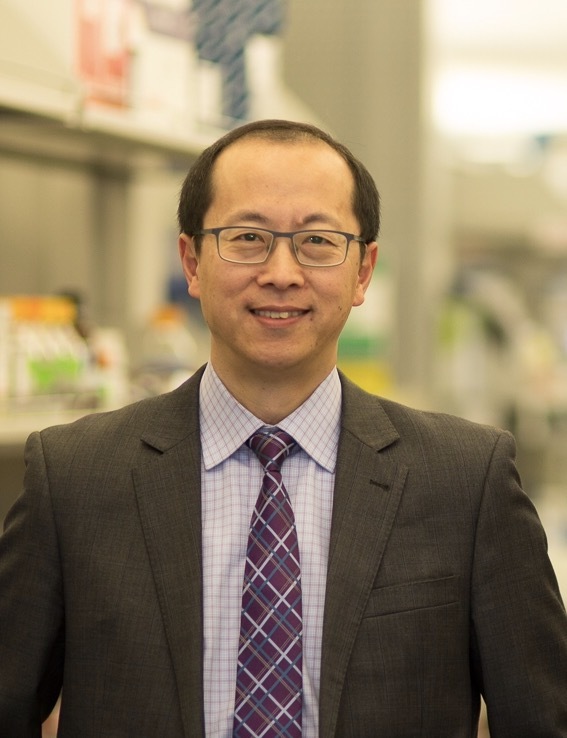 Distinguished Speaker Dr. Chen Dong: "Novel Strategies to Target Inflammation and Cancer." 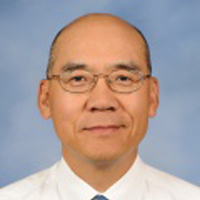 Distinguished Speaker Dr. Linheng Li: "Overcoming Immune Escaping of Cancer Stem Cells." 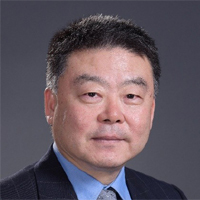 Distinguished Speaker Dr. Hua Mu: "Translational Medicine Guided Innovative Drug Development and Collaborations." FOR ONLINE REGISTRATION, PLEASE GO TO "MEMBERSHIP" PAGE AND MAKE PAYMENT AS INSTRUCTED. WE ACCEPT ON-SITE REGISTRATION AS WELL. Oct 7 annual conference attendance without lunch or membership: FREE. 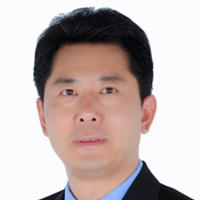 Member of the National Academy of Sciences, foreign academician of the Chinese Academy of Sciences, Director of the National Institute of Biological Sciences, Beijing, and Founder of BeiGene (Beijing) Biotechnology Co., Ltd. Founded in 1908, Swedish Health Services is the largest nonprofit health system serving Greater Seattle community. Its Multicultural & International Services program supports multicultural patients with a team of multilingual health navigators. They assist patients and families navigate through healthcare system, and troubleshoot issues relating to appointments, medical interpretation, insurance and billing. As well, they conduct health outreach and education activities using culturally specific new and traditional media, and grassroots campaigns. Swedish Health Services is a part of Providence St. Joseph Health, a 50-hospital nonprofit healthcare system comprised of hospitals, clinics, senior services, supportive housing, university, nursing school, venture fund, and educational services. 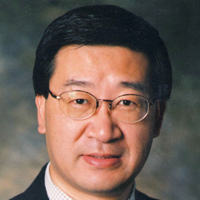 Dr. Xiaodong Wang, Ph.D., born in Wuhan, China in 1963. 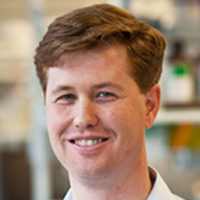 He has served as the Director and Investigator of the National Institute of Biological Sciences, Beijing, since 2010. 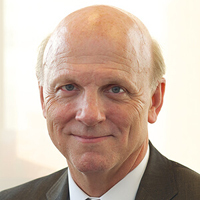 Previously, he was a Howard Hughes Medical Institute Investigator from 1997 to 2010 and held the position of the George L. MacGregor Distinguished Chair Professor in Biomedical Sciences at the University of Texas Southwestern Medical Center in Dallas, Texas from 2001 to 2010. Dr. Wang received his B.S. in Biology from Beijing Normal University in July, 1984 and his Ph.D. in Biochemistry from the University of Texas Southwestern Medical Center in May, 1991. 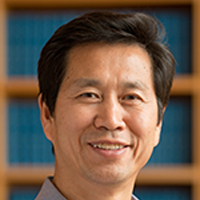 Dr. Wang has been a member of the National Academy of Science, USA since 2004 and a foreign associate of the Chinese Academy of Sciences since 2013. Our scientific focus are human genes, cancer biology, gene editing, stem cells, functional medicine, neurosciences research, etc. Each discipline is led by a distinguished scientist. Jody Li is a Chinese American health care administrative executive and active community volunteer. Being born in a family devoted to academic medicine and philanthropy, Ms. Li is passionate about supporting Asian American academic medicine leadership in the US. Ms. Li formerly worked for the law firm of Skadden, Arps, Slate, Meagher & Flom, and the CPA firm of PwC. She was also a finance manager in the University of Michigan Health System. Ms. Li currently directs international initiatives in UW Medicine and is also interested in facilitating cross Pacific collaborations in the healthcare arena. Plexera Bioscience develops and manufactures PlexArrayHT series of ultra-high throughput SPRi instruments for real time, label free detection and characterization of bio-interactions, aiming at providing life science R&D with tools, content and methods that simplify and accelerate the process of drug discovery and therapeutics. PlexArrayHT is an open platform, can simultaneously monitoring and analyzing up to 5,000 bio-interactions with Ka, Kd and KD. Primary applications of PlexArrayHT include small molecule drug discovery (target fishing, screening and profiling), antibody discovery (screening, epitope mapping and binning), glycol-profiling, and personalized TCR immunotherapy (CD8+ CTL screening and neoantigen discovery). Founded in 2016, VestLink is a global investment platform connecting innovators with the China market. 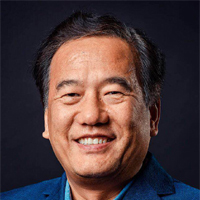 Created by Seattle-based Fortune 500 executives and seasoned entrepreneurs, we attract innovative startups and founders in high-tech industries and connect them with Chinese investors, partners and business opportunities. Through cross-border collaboration, we help to significantly boost startup growth and profitability. InvestHK’s vision is to strengthen Hong Kong’s status as the leading international business location in Asia. Our mission is to attract and retain foreign direct investment which is of strategic importance to the economic development of Hong Kong. In all our services, we apply the following core values: passion, integrity, professionalism, customer service, business friendliness and responsiveness. We work with overseas and Mainland entrepreneurs, SMEs and multinationals that wish to set up an office, or expand their existing business, in Hong Kong. We offer free advice and services to support companies from the planning stage right through to the launch and expansion of their business. Founded in 1961, CIE/USA-SEA is a non-profit organization with key objectives to pursue academic and professional excellence in the Asian Pacific American community through educational and technical programs to promote innovation, collaboration and education across Greater Seattle area and the Pacific Northwest. 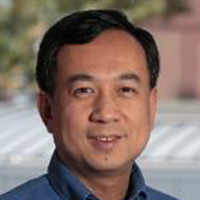 1, Current major national and international programs (s (www.cie-usa.org): A): AAEOY: Asian American Engineer of the Year (US) METS: Modern Engineering and Technology Seminars (US-Taiwan) SETAC: SinoAmerican Technology and Engineering Conference (US-Mainland China) 2, Current major local programs (s (www.cie-sea.org): A): A) Inspiring Leadership "Asian American Luminary Award" recognizing the global impact of local leaders Student & Young Professionals Mentoring Programs B) Enriching Education Asian Pacific American Youth Scholarship Program (6th grade - undergraduate) APA Youth Math & Science Program (3-8 grades) CIE Internship Program (9-12 grades) ROAD-to-COLLEGE serial educational seminars (1-12 grades) C) Developing Professionals Annual CIE/USA Seattle Convention and Speaker Series Professional Development Seminars Technical Professionals Social Events. Providence Health & Services is a not-for-profit Catholic health care system operating multiple hospitals across 5 states, with headquarters in Renton, Washington. The health system includes 27 hospitals, more than 35 non-acute facilities and numerous other health, supportive housing and educational services in the states of Alaska, Washington, Montana, Oregon and California. Providence Health & Services was started by the Sisters of Providence (Montreal, Quebec) in 1859. BioDuro is a leading, global life sciences research and development organization that provides biopharmaceutical clients and partners with comprehensive, fully integrated drug discovery services spanning target identification to IND filing, through to manufacture of drug substance for clinical trials. 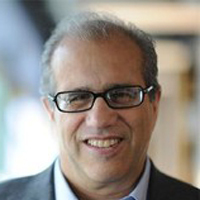 With depth and breadth of therapeutic expertise in small and large molecule discovery, development and scale up, combined with unique technology platforms such as high content 3D drug screening and bioavailability enhancement of insoluble compounds, BioDuro is well positioned to help biopharmaceutical partners significantly accelerate their lead discovery programs, and de-risk development programs for higher value outcomes. Visit www.bioduro.com. Simcere is a leading Chinese pharmaceutical company specialized in developing and manufacturing innovative medicines and branded generics for oncology, neurology, rheumatology and immunology, as well as for infectious, cardiovascular and metabolic diseases. Simcere employs approximately 4,000 employees in China. The Company also owns two R&D centers, two sales and marketing subsidiaries, and four manufacturing facilities. Simcere sells over 50 products in China market and has had annual topline growth of over 30% in the past three years. Simcere has a strong development team and distribution network, all managed by industry veterans. Simcere actively seeks out partnership opportunities for both R&D projects and launched products. 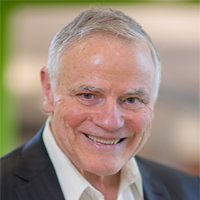 Current partners include Amgen, BMS, Daiichi Sankyo, GSK, Apexigen and Merus. Simcere has also invested in eight venture capital funds, and contributed US$200 million into innovative healthcare projects worldwide. One of the big pharma in China, Kelun Pharmaceutical Co. Ltd. was founded in 1996 and has long been known as the leading manufacturer of injectable and infusion products and antibiotics/antibiotic intermediates. In recent years, Kelun has become one of the most active companies in innovative (brand name) and generic drug R&D with over 3 dozens of innovative projects at preclinical and clinical stages. The innovative projects cover oncology, diabetes, liver, CNS, cardiovascular and autoimmune disorders. Listed in Shenzhen Stock Exchange, Kelun is headquartered in Chengdu, Sichuan province, with additional research centers in Tianjin, Suzhou, and Cranbury, New Jersey. Kelun has about 30,000 employees and 100 subsidiaries globally. North America China Council is a Washington State Non for Profit Corporation Organization formed to serve as a diversify platform to providing the information and resources to help parties of companies or individuals in North America & Greater China to have better understanding, sharing and connecting in without limitation for global multicultural, education, healthcare，innovation and high-tech fields. The Seattle Chinese Biomedical Association (SCBA) is a non-profit organization founded by a group of professionals working in biomedical field at University of Washington. It was officially registered in 1993 with its members distributed in universities, hospitals, research institutes and bio-pharmaceutical companies in Seattle area. As described in the Mission Statement, SCBA strives to provide a forum for the exchange of information related to life science as well as normal life for the Chinese community in the Seattle area. The association has hosted many scientific seminars and invited speakers from other areas in USA and China. The association has also organized many other activities to meet different requirements from the members. If you are working at biomedical field area, or are interested in life science, you are welcome to join the SCBA. We need your suggestions, participation and support!